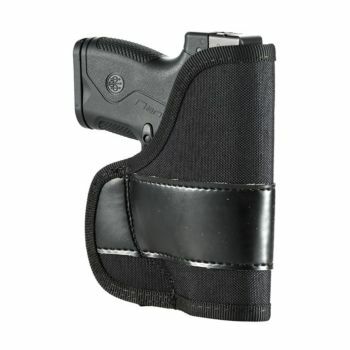 Holsters are necessary for the safe transport of short weapons, in particular pistols. 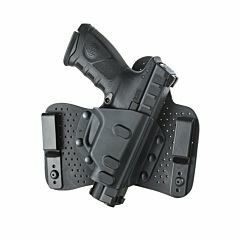 The term derives from the Latin "funda", which means "leather casing", the material most used for the realization of the product. 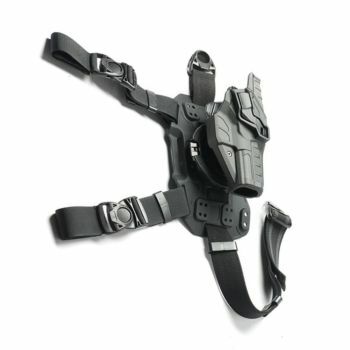 Over the years, experiments have been carried out in wood or plastic, but leather remains the most widely used material. 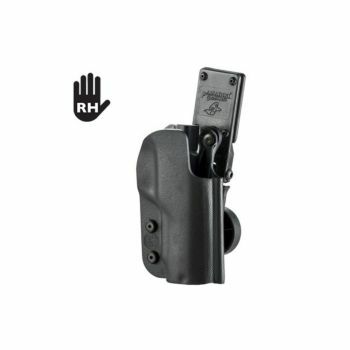 Today, however, the holsters are not only simple cases but are certified safety devices, equipped with sensitized, rigid and wear-resistant release lever that opens the holster in a natural and safe way. 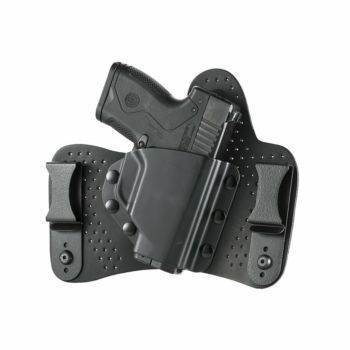 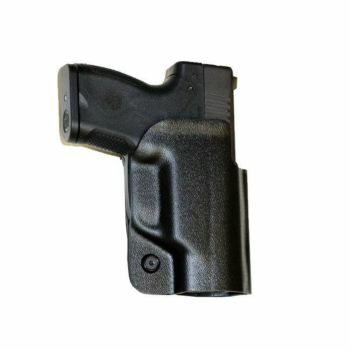 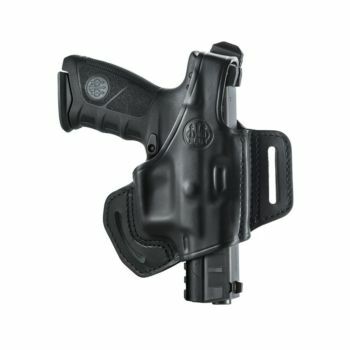 Of course, the holsters have followed the trends of the moment, especially in the decoration, but in recent years have bowed to functionality: the priority of products today is safety, combined with practicality of use. 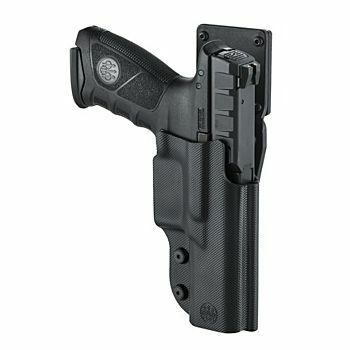 The holsters are open on one side, from which the weapon can be extracted. 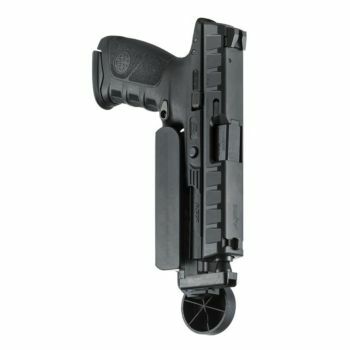 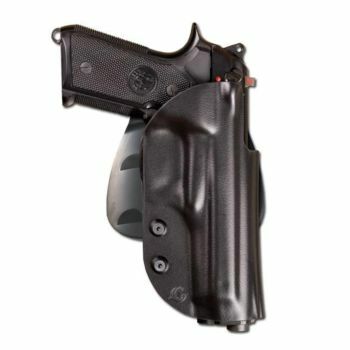 The models vary according to the type of gun they are called to house and the point of attachment, which is usually the belt, but there are also models of armpit holsters with built-in strap that allow the port of the gun upside down, so that extraction is faster. 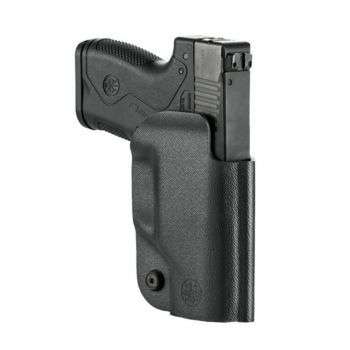 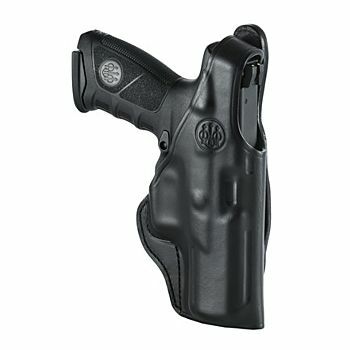 Armeria Brignoli has professional holsters in full-grain leather from the most prestigious brand on the market, Beretta.